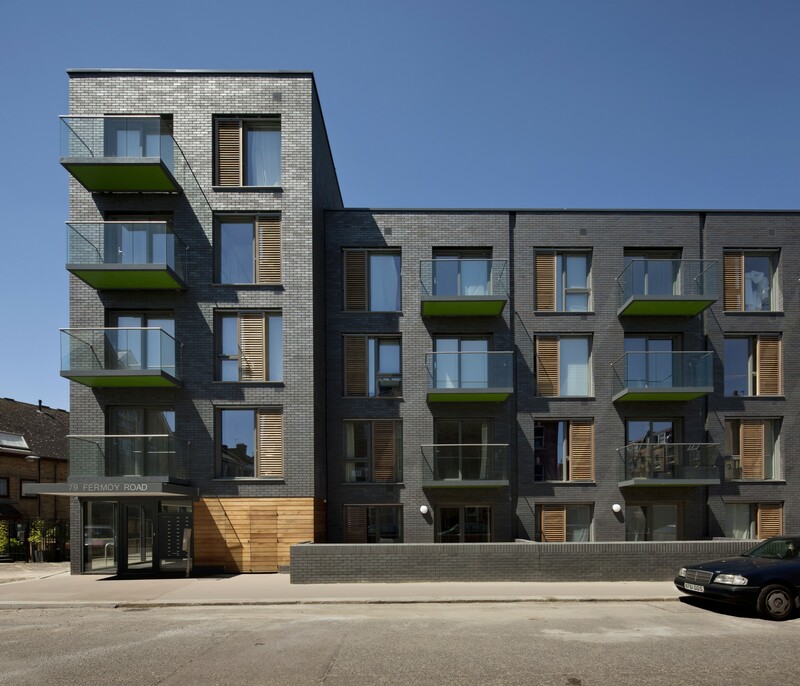 Multi-award winning affordable residential scheme in Maida Vale. 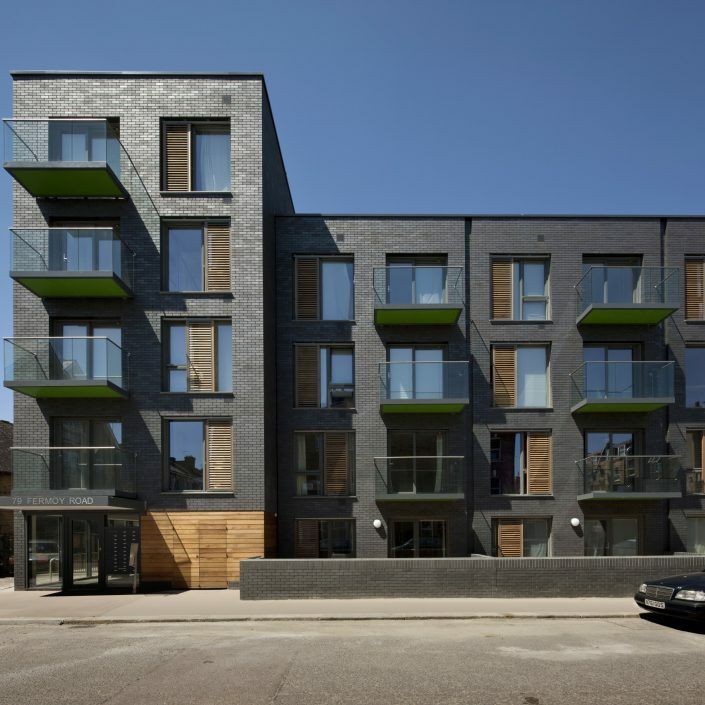 77-79 Fermoy Road is the product of the redevelopment of an existing site, which previously housed a disused printing works, into a contemporary residential scheme of 32 affordable one-bedroom apartments in Westminster. Features include large windows, built-in wardrobes, 100% cycle storage and space-saving underfloor heating. 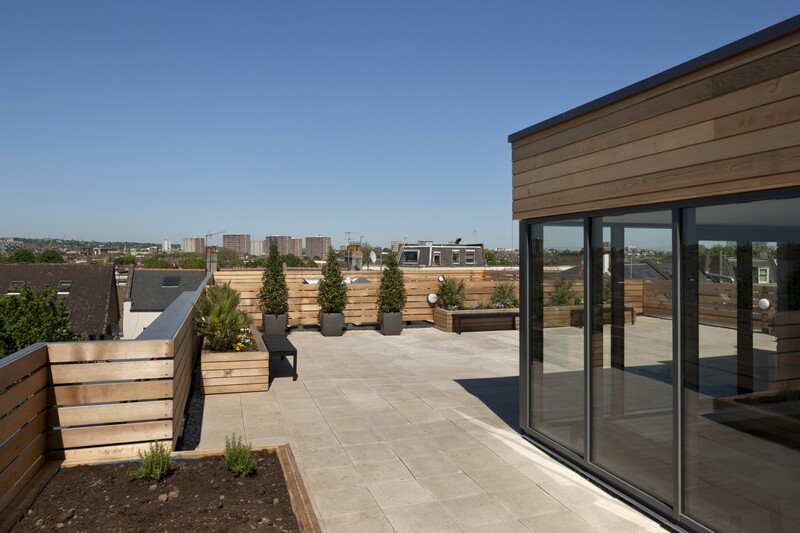 Each apartment also benefits from its own balcony or patio area which acts as an additional private, social space as well as a large communal roof terrace at the top of the building. 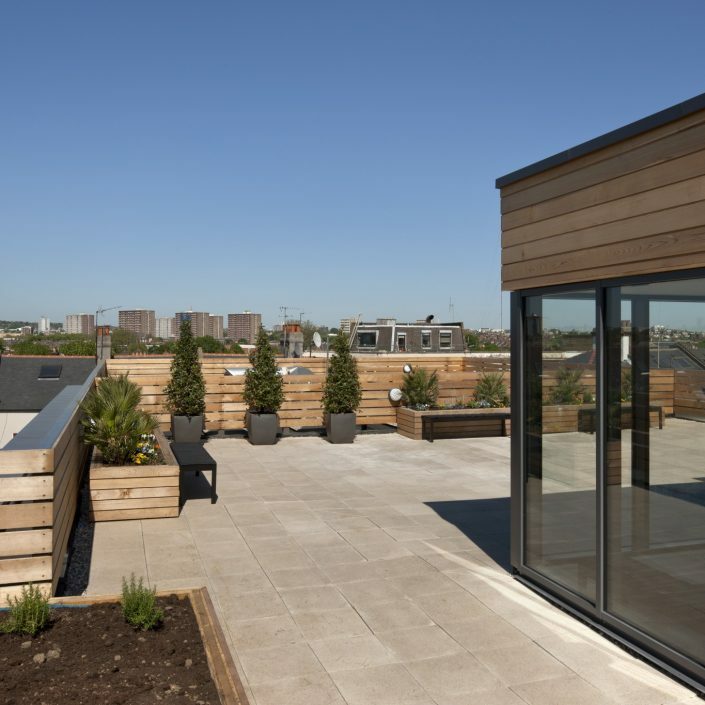 Built to a high specification and sold at 20% below the market rate, Pocket Living worked with local authorities to deliver intermediate housing, without grant. 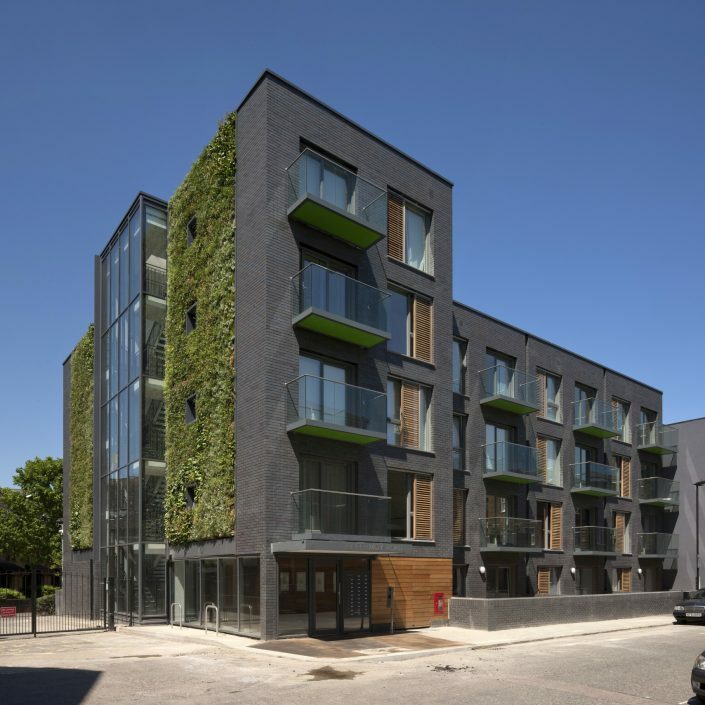 The apartments are designed to achieve Lifetimes Homes, Secured by Design and Code for Sustainable Homes Level 4 requirements, no mean feat for affordable housing. 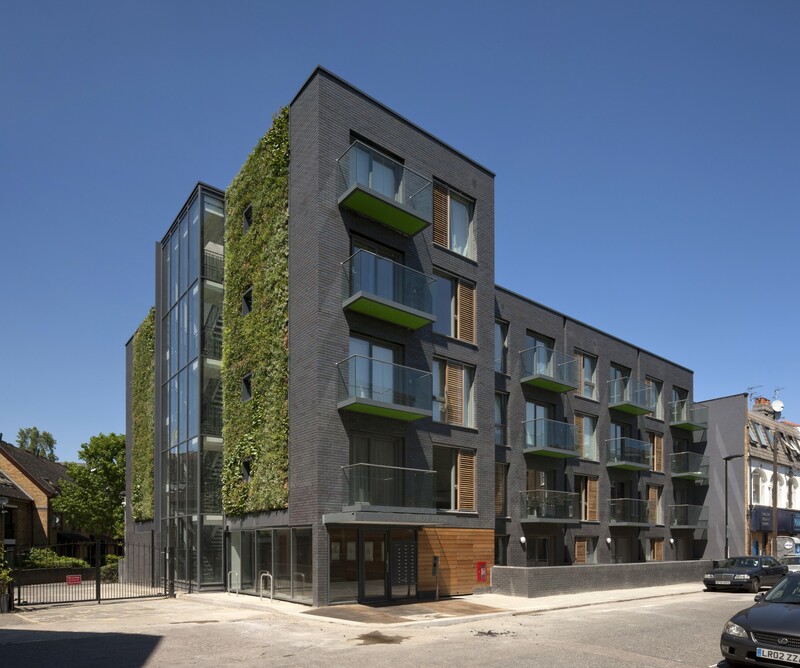 Code Level 4 is achieved through ground source heat pumps sufficient to supply the flats with all their heating and hot water.